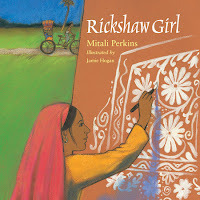 AuthorMitaliPerkins: Which Indian Language Do I Speak? I'm Glad You Asked! Which Indian Language Do I Speak? I'm Glad You Asked! When I visit schools for author visits in the United States I ask if anyone in the room has heard of Bengali, or Bangla, my mother tongue. Apart from a few raised hands here and there, most non-Indian students don’t know much about the wide variety of languages in the country of my birth. Twenty-two major languages are spoken in India, including Bangla, which is the seventh most commonly-spoken language in the world. To a native Bengali speaker, the pronunciation of Bangla is important. The people of Bangladesh even fought a war of independence over the language, asserting their right to use Bangla as the official language instead of the Urdu spoken in Pakistan. A Bengali can tell immediately if a speaker is Bengali when she says “rosho-goll-ah,” one of our favorite sweet delicacies. In Hindi and Urdu, those white, juicy balls of sugar and milk are pronounced “ras-gu-llah,” without the rounded “o” and “sh” sounds of Bangla. Hindi nouns are either masculine or feminine; Bangla nouns have no gender. The languages are as different as German is from French. That’s why I was grateful when Sarah Jaffe, the producer of the audio versions of Rickshaw Girl and Tiger Boy, asked me to send video renditions of the Bengali words in both books. I’m excited that the narrators, who are both South Asian but not Bengali, took the time to learn how to pronounce the Bangla words and phrases. In the audio versions, Zehra Jane Naqvi and Sunil Malhotra say “illish” (a kind of fish) and “rikshah” (rickshaw) the way I heard them growing up. If you and your family listen to these books and your ancestors didn’t originate in South Asia, I highly recommend you head to your local Indian grocery store and buy a tin of “Rosho-Goll-Ah.” (You might even want to ask the clerks politely which Indian language they speak; I can almost guarantee you won’t offend.) At home, heat up these juicy treats and make some tea as you enjoy the beautiful narration in the audio versions of these stories. My hope is that you feel as if you’re traveling together to the villages of Bengal, where both of my parents grew up. 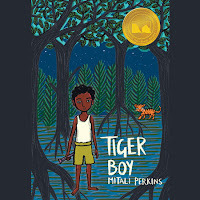 Listen to clips from the audio versions of RICKSHAW GIRL (read by Zehra Naqvi) and TIGER BOY (read by Sunil Malhotra).